A long-term client had a facility with compliance issues. They were particularly struggling with high ammonia levels due to urea in the waste stream. The facility’s effluent is primarily composed of storm water runoff from the parking lot area and flows to an Environmental Control Pond (ECP). When the ECP was designed and installed it was not intended to treat ammonia. 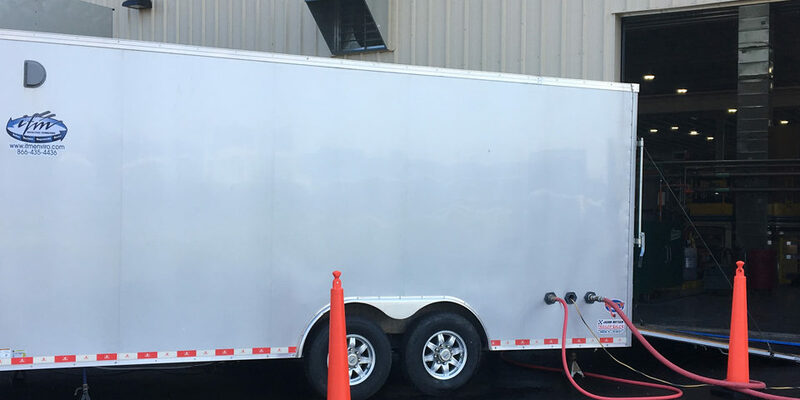 IFM took laboratory and flow data from the waste stream to design a custom trailer mounted treatment system to remove ammonia. 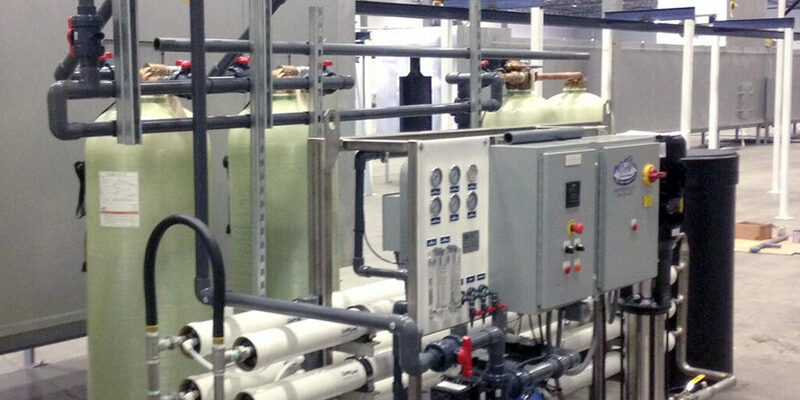 An Ultrafiltration (UF) / Reverse Osmosis (RO) system was placed on site. 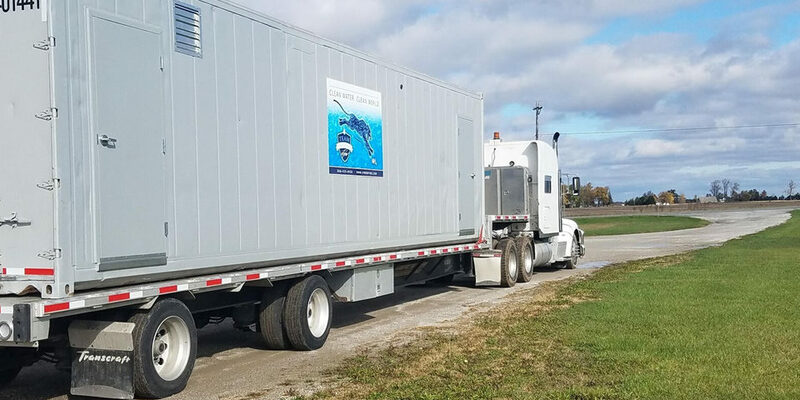 IFM personnel tested equipment, the process and the process efficiency for 45 days to ensure that the treatment would meet NPDES permit limits. The pilot system pumped water out of the ECP and was treated with the membrane UF system. Permeate water (clean water) from the UF system was then treated by the RO system. The concentrated contaminants from the RO unit were then fed back through the process for further treatment. Operators collected and had analyzed the permeate water samples with impressive results for the removal of CBOD, TSS, pH, Oil & Grease, Ammonia and Chemical Oxygen Demand. All results were found to be in compliance with the NPDES permits and enabled the permeate water to be discharged into the waters of the state. 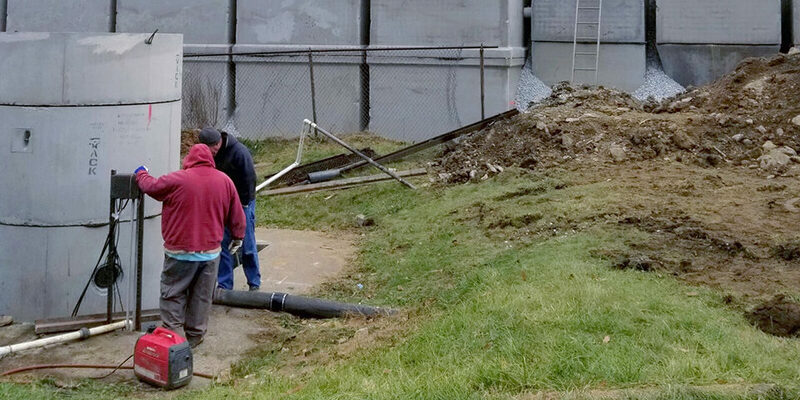 During the 45-day pilot, IFM processed more than 31,000 gallons of water which was pumped back into the ECP. Our client was delighted with the success of the pilot membrane treatment system. The result exceeded expectations, bringing ammonia levels that were as high as 45 mg/L. to less than 2.0mg/L. As a result of the success of the trial, IFM designed and constructed a modular treatment system to reduce ammonia. Built inside two 40’ shipping containers, a 15,000 GPD UF/RO system was built and shipped to the site. The system is climate controlled, fully automated and can be viewed and manipulated online. 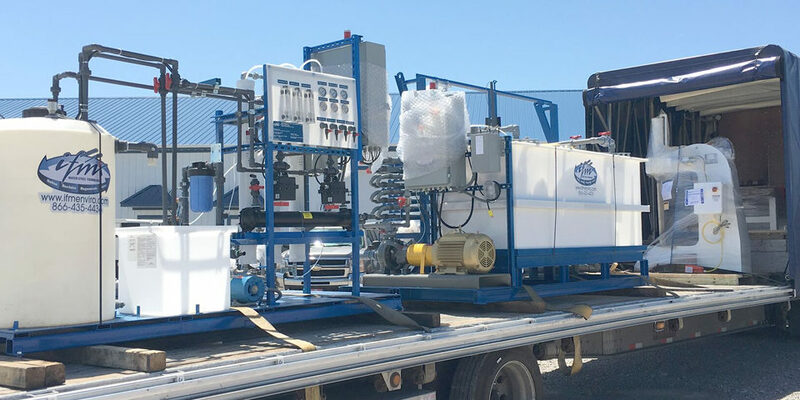 Our client has ordered a second system and is looking at other facilities where this type of technology can be employed to transform their facility’s effluent water into compliance.